The fallout between singer, Kiss Daniel, and his estranged label, G-Worldwide, is getting more interesting by the day. Ever since news of the rift broke out, there have been lots of accusations and counter-accusations between both parties. According to some reports, the label allegedly paid Kiss Daniel a salary of N30, 000 monthly until after he released his sophomore single, Laye. However, the label stated that it had paid over N120m to the singer since the contract was signed. 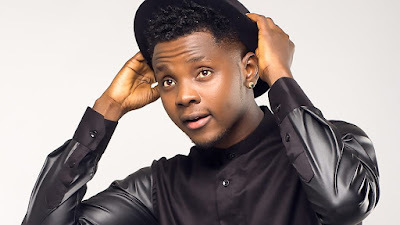 Kiss Daniel’s camp had also alleged that G-Worldwide prevented the Yeba singer from attending his father’s burial in 2015. However, in a statement made available to Sunday Scoop, the label denied the allegation. “Immediately the news of his father’s demise filtered in, Emperor Geezy, CEO of the label, authorised that his personal car should be used to convey Kiss Daniel to Abeokuta to attend his father’s burial. The singer only requested for two days’ leave, and N200,000 to send to his relatives, who had to bury the dad immediately because he was a Muslim. At that time, Kiss was bitterly angry that none of his family members could come up with even N10,000 to support his dad’s burial. The company was willing to give him more money but he said he needed only N200,000. The label CEO’s brother and one other person from the company even accompanied him on the trip back home. Interestingly, on arriving at a hotel in Abeokuta, which had been fully paid for by the label, Kiss refused to attend his own father’s burial on the grounds that he believed that his family was fetish. He said that his father’s death was not ordinary, considering the way he suddenly fell ill and died, after going through a lot of pain. He was scared and said he did not want to be exposed to any danger. On the night of his arrival in Abeokuta, his younger brother was on his way to visit him when he got involved in a car accident. The label took care of his brother’s medical bills, and paid up to N300,000,” the statement read. Reacting to claims that G-Worldwide barred Daniel from supporting other artistes, the label stated that Kiss, on his own, decided not to attend some events, even though his management had approved them. The label wrote, “In response to the claim that Kiss Daniel was barred from supporting other artistes, especially those who supported him and the label at the New Era album launch, we would like to put it on record that at no time did the label bar him from performing at events where friends in the industry had asked for his support. Kiss Daniel however made it a habit to turn up at events late or not at all, always blaming the label for his truancy. Clear examples include his failing to appear at Reekado Banks’ album listening party and 2face’s Buckwyld ‘n’ Breathless concert. He did this even when 2Baba had provided two separate accommodations for him and his manager at Eko Hotels.